During the week we were donated a print of a sister ship, Freshwell, from Richard Clammer. Unfortunately he could not recall where he had acquired it from or where it was taken, however a little research has identified it as being taken at Royal Clarence Yard, Portsmouth. If you have any further information we'd love to hear it. 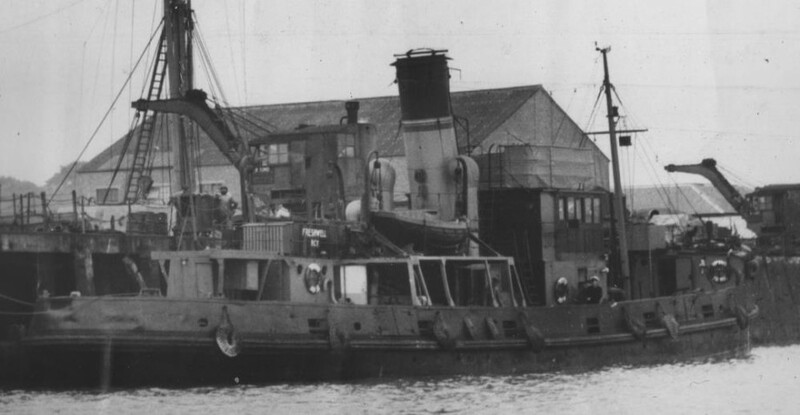 Freshwell was launched in 1943, working at a number of locations including Scappa Flow and the Portsmouth area before being broken up from scrap in 1968. Over the past couple of weeks, works on board have been relatively quiet, though we are eternally thankful as ever to John Richards for his regular sterling work keeping the decks clean and clear of plant life. The reason for the lack of works on board has been that as she is relatively safe for now, volunteers have been concentrating heavily on fundraising, a long process requiring close consideration of where to raise the funds from and how we can make the operation of Freshspring financially sustainable amongst other questions.